Detailed information for Amtrak’s station stop in Northampton, Massachusetts. 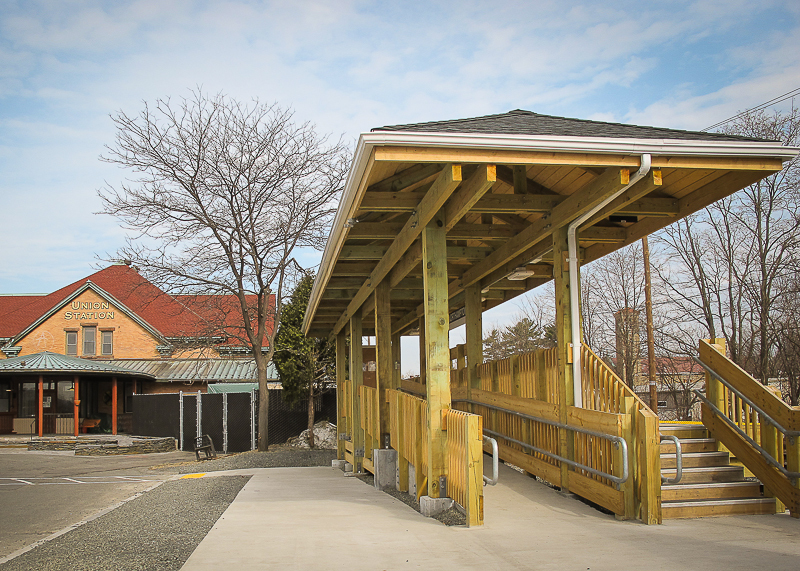 Free short-term parking (up to 30 minutes) is available in the parking lots adjacent to the station. The Pioneer Valley Transit Authority (PVTA) provides service within Northampton and the surrounding area. 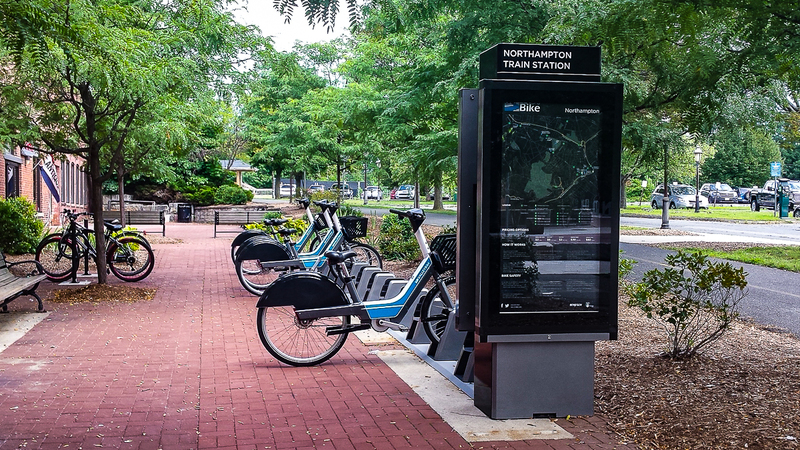 ValleyBike Share’s dock at the Northampton station is located on the bike path, near Pleasant Street. The Deck — an outdoor food and beverage establishment — is located steps away from the boarding platform. It is open during the warmer months of the year. The Union Station building is a former railroad station for city of Northampton. The property, which includes the building and parking lots, is now privately owned. The location is operated today as a bar, restaurant and banquet facility.